Adore Technologies Career Jobs Opening 2018-2019 HR Executive Posts Download Application at www.adoretechnologies.in. Adore Technologies Job has Recently Announced 2018 regarding HR Executive & Various Job Openings Interested and Eligible Candidates can Download Application Through Official website. 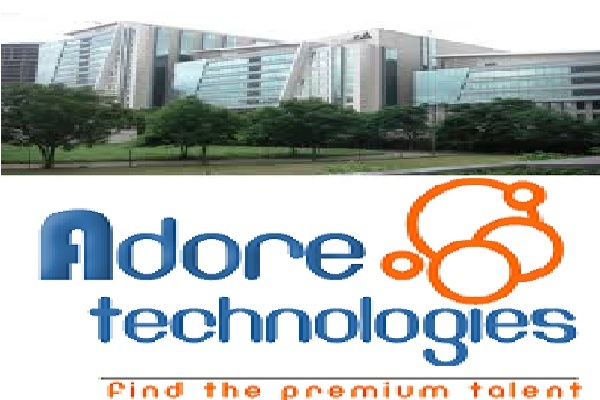 Adore Technologies Career Urgent Walk-in || HR Executive @Bangalore- Apply Now. Salary: Rs: 1,00,000 - 1,25,000 P.A. Adore Technologies is a Bangalore headquartered HR Consultancy firm, primarily engaged in the business of providing professional STAFFING SERVICES to various industries in India. At Adore Technologies, we focus on reducing overhead cost while delivering best in class solutions. We assist our clients in finding the right people to support their business strategy. Our staffing strategy is customized to suit the needs of each client. Whether it’s staffing a project, an entire department or a single position, we will assist you in filling your positions in a timely and cost effective manner. Kannada & English fluency is must.